Somehow I managed to skate through twelve years of public school (and nearly as many years of college) with only a minimal exposure to science. Now I'm trying to compensate. 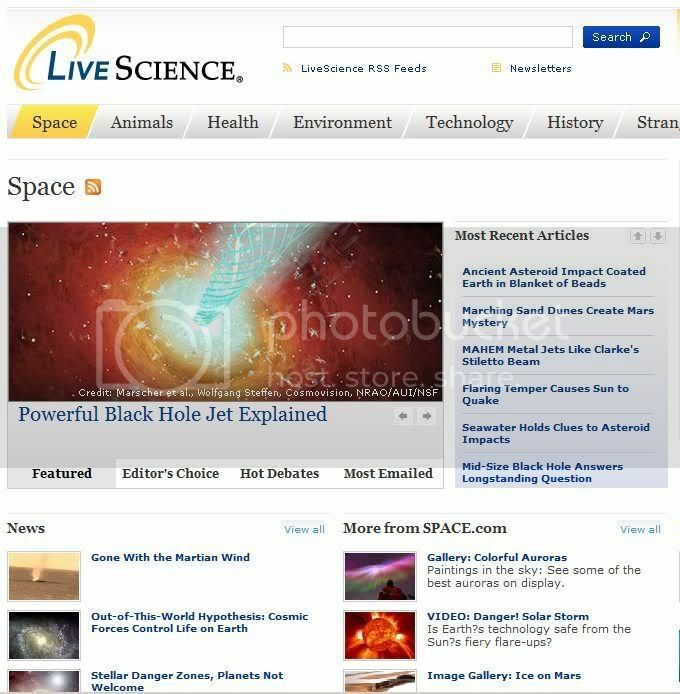 And LiveScience.com is my drug of choice. I especially enjoy reading the science blogs and reports on scientific studies. Every day the site hosts fascinating articles such as yesterday's "Fairness Is a Hard-Wired Emotion" and "Myanmar Flooding Seen From Space". Sure beats TMZ for cocktail-party trivia. How do you stay up to date on the subjects you loved in college?